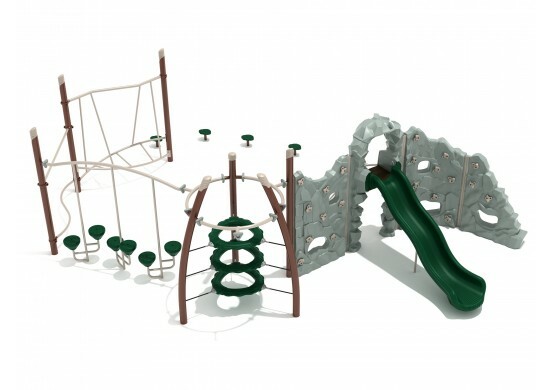 The Altamonte Springs play structure is an exciting twist on a traditional play unit. 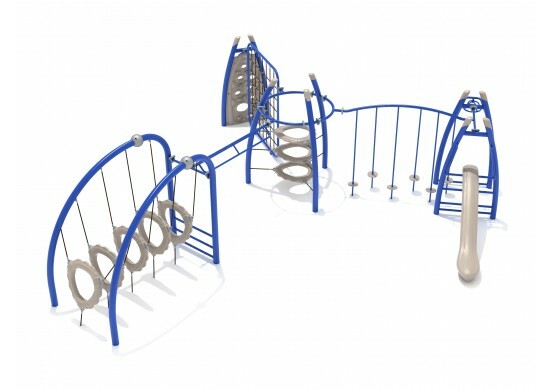 The elements of the system are of a fitness nature introducing exercise into play time. 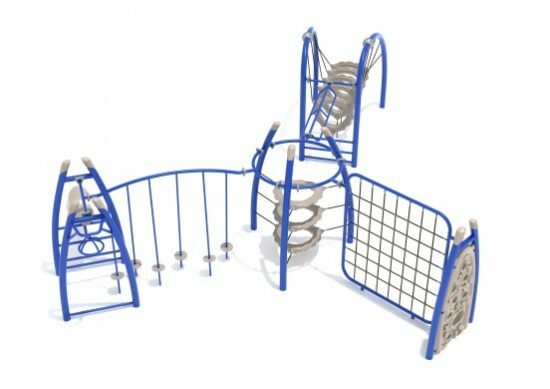 Children will enjoy traveling through the floating tunnel climber as it introduces a new way of climbing. 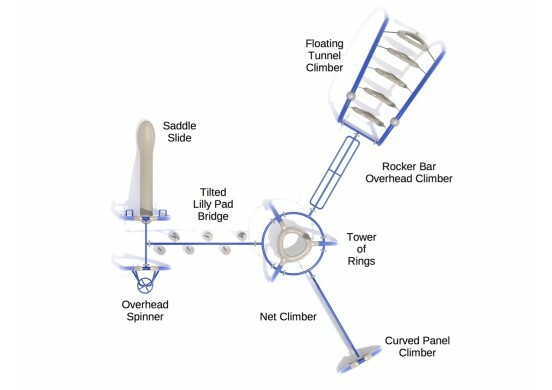 A rocker bar overhead climber connects the tunnel to the center which features a tower of rings. 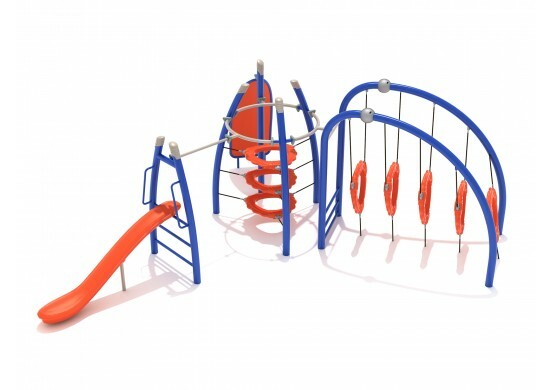 A curved panel climber connects to a net climber which also leads to the tower of rings. A tilted lilly pad bridge saddle slide and an overhead spinner make up the third branch of the unit. The Altamonte Springs system is a member of the Get Physical series. This series is designed to promote fitness and exercise in a fun way to children ages 5 to 12 years. When purchasing a play structure do not forget about safety surfacing as it is very important in preventing injury.